single channel edit 6 min. 30 sec. Occurrence At Lookout Rock asserts a seamless mise-en-scene of the Western genre to focus on a multiplicity of concerns including representations of landscape and women, the simultaneity of time and space, and the structure and function of cinematic codes within the genre. Four women inhabit archetypical Western characters (The Lady, Saloon Girl, Cowgirl, and Outlaw). Without having a direct function they appear to merely occupy the landscapes calling attention to the duration of their movements. The presence of these characters and the appropriated Spaghetti Western music produces a set of narrative expectations based on the viewers’ own cinematic history. The anticipation culminates when the viewer’s gaze is returned and the camera pans to reveal a mysterious disappearance. In one movement the landscape is unified and articulates a dizzying shift in subjectivity, from the artist to the actresses to the viewer, questioning assumptions about these women and the manufactured realism produced by the mise-en-scene without a narrative framework. Occurrence At Lookout Rock is a four-channel video and sound installation consisting of four large-scale projection walls designed to look like “Hollywood flats” traditionally used in set construction. 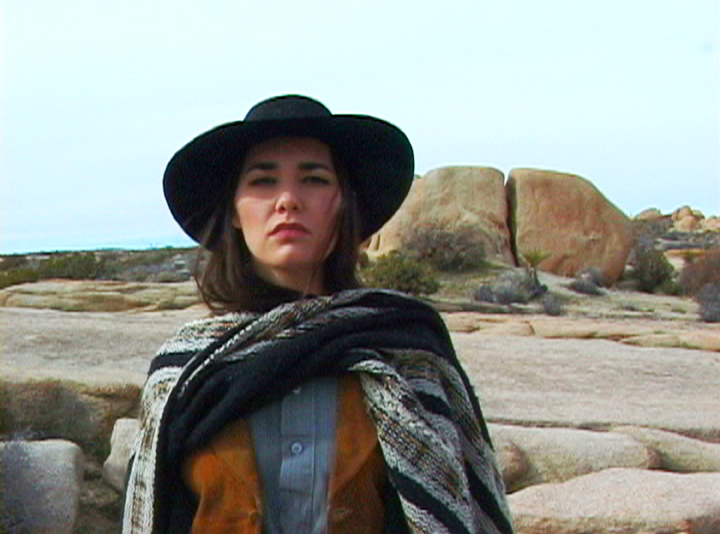 The video was shot in Joshua Tree National Park with four cameras recording opposing directions resulting in four simultaneous single takes of one location. 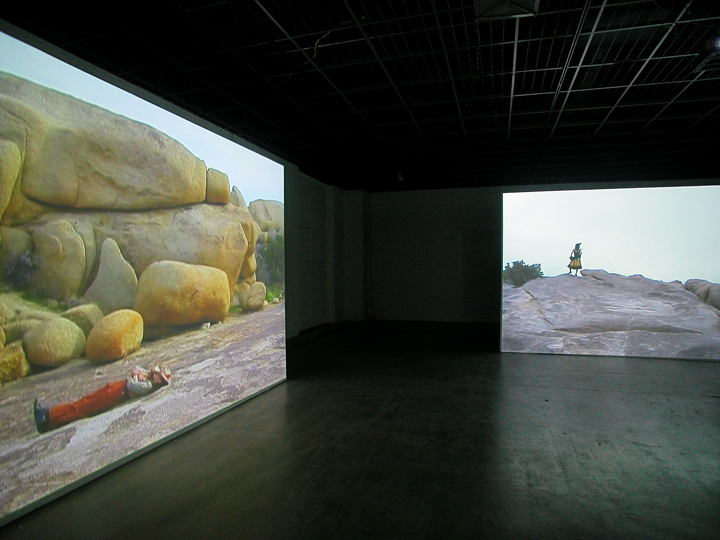 When configured into the exhibition space, each of these projection “flats” are placed across from one another encircling the viewer in a fragmented, panoramic, Western genre landscape.